You probably already know full well that a healthy diet includes lots of fruits and vegetables. You probably buy organic whenever possible, maybe even have a membership with your local CSA. 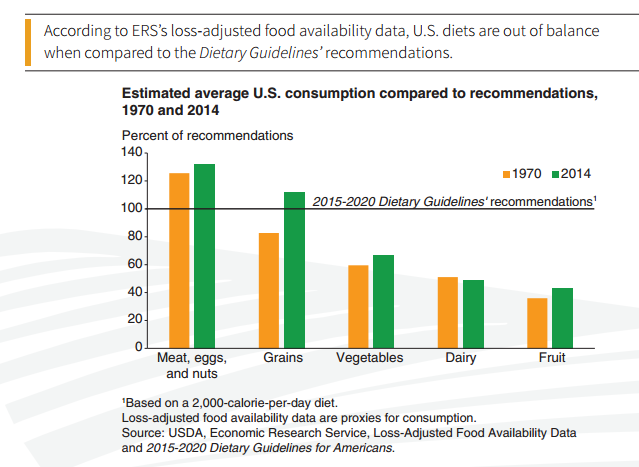 According to the USDA’s latest Ag and Food Statistics report, most Americans still eat well below the recommended amount of produce – with a pretty dramatic increase in grains over the last 45 years. Variety remains very lackluster, too. Potatoes and tomatoes top the charts, followed by onions and lettuce. No surprise, really, considering how many burgers we eat in this meat-and-potatoes country of ours (50 billion a year by most estimates). Even the non-profit agency Fruits and Veggies More Matters (responsible for increasing our fruit and vegetable intake) seems to lack imagination. 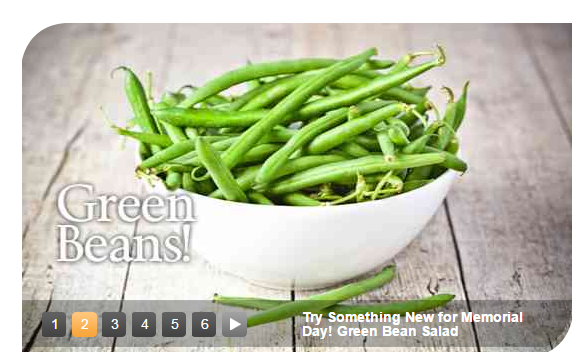 They suggest you try to attract more vegetables to holiday meals with…a green bean salad? Most of our food habits are instilled in childhood, through what’s served at home or school. The US definitely has room for improvement with respect to the latter, especially compared with the rest of the world. While most other countries fill their trays with fresh, organic produce and smaller portions of starches and fats, lunches in the US can look like Happy Meals, fat with starches, loaded with sugars, and skimpy on fresh vegetables – often canned, bland, and destined for the trash. Cooking education is better in other countries, as well. In Japan – which has one of the lowest rates of childhood obesity – students are offered basic classes on preparing healthy meals. Here in the States, less than 25% of students enroll in such classes anymore. And diet affects far more than just obesity. Diet effects our whole well-being. Earlier this year, research in JAMA found that nearly half of all cardiometabolic deaths in the US – deaths due to heart disease, diabetes, stroke, and the like – are due to diet. Instead of waiting for home ec classes to make a comeback or for US school lunches to look more like those in healthier countries, consider some of the options you can control. Let your child choose a fruit or vegetable that looks appealing at the grocery store. Involve your child in preparing meals so that he or she can become familiar with the foods. Have a raw and cooked vegetable option so that your child can choose the one he likes best. Some children like the crunch in raw vegetables, while others like vegetables to be soft and mushy. According to Cornell University, gardening also improves a kids’ awareness of fruits and veggies. Considering that cost is one of the main reasons the Standard American Diet is as SAD as it is, gardening is an extremely viable solution. If a backyard garden isn’t an option, consider some veg that you could grow indoors or in pots on a deck or balcony. 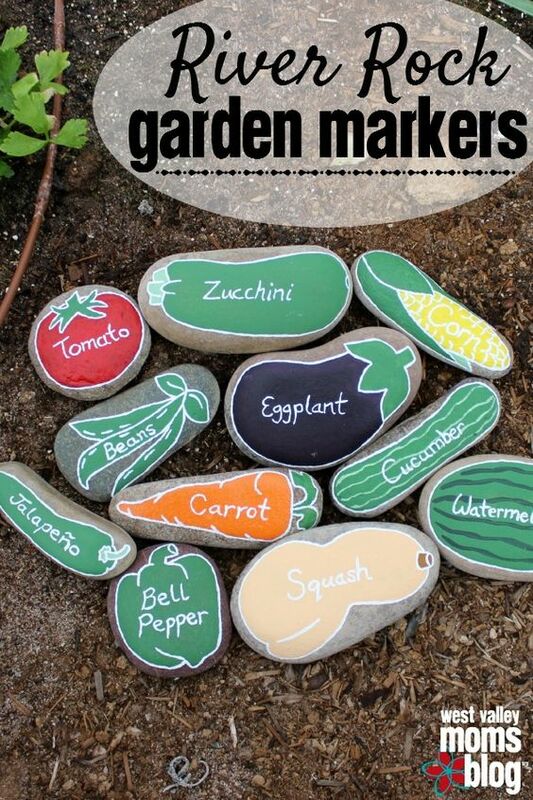 You can even incorporate a fun, artistic element from the kids in creating stone labels for the different fruit and vegetables in the garden. Look into cooking classes offered by local grocery stores or community rec centers. And remember that while driving through fast food on the way home may seem easier, in the long run, it’s it is bound to cause many more problems than the convenience was worth at the time.